Voltron is yet another subject matter I was enamored with for a period of my childhood! I watched as many episodes of the show as I could back then, but for merch I only got a coloring book, but I stared at the big combination 'bot toys at stores with wanting eyes. As a young adult I sought out a used form of one of the better vintage toy sets and I have that on display to this day. With the recent (and dramatically better) reboot of the animated universe on Netflix, I've found myself wanting a second display model to bolster my collection. Well, thank you, LEGO, for making the shopping process rather easy. 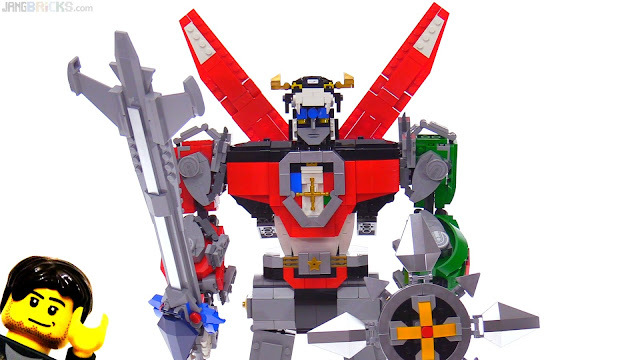 (3.5 mins) QUICK look: LEGO Ideas Voltron 21311! Hi love your vids whats ur fav episode.